Devi Lakshmi –The Hindu Goddess has eight forms :- Prosperity, Health, Wealth, beauty, Knowledge, Strength, Progeny and Power. This form of Goddess Lakshmi is portrayed as four hands, wearing red sari, holding a lotus and a white flag in her two hands while the other two hands are in abhaya and varada mudra. The Aadi Lakshmi is daughter of sage Brigu. Wife of Lord Vishnu. This form of Goddess Lakshmi is portrayed as six hands, wearing red sari, holding a discus, a conch, the holy pitcher, bow, arrow and the sixth hand is in abhaya mudra with gold coins rolling from her palm. Dhana Lakshmi is Goddess of money, gold and power. 3. Dhaanya Lakshmi– The Goddess of food Grains. This form of Goddess Lakshmi is portrayed in green sari and having eight hands. Holding two lotuses, a mace, a sheaf of paddy, sugarcane, bananas and other two hands are in abhaya and varada mudra. Dhaanya Lakshmi is Goddess of food grains. The basic need. This form of Goddess Lakshmi is portrayed by two elephants bathing her with water posts as she sits on a lotus, she is in red sari and having four hands, holding two lotuses, other two hands are in abhaya and varada mudra. Gaja Lakshmi is Goddess of transportation. This form of Goddess Lakshmi is portrayed as six hands, holding two pitchers, a sword, and a shield, in one hand she is holding a child and remaining one hand is in abhaya mudra. Santana Lakshmi is worshiped in this form to beget children and continue the name of the family. Veera Lakshmi is Goddess of courage to fight against evil. This form of Goddess Lakshmi is portrayed as sitting on lotus, wearing a white sari, having four hands, holding two lotuses on both hands, with other two hands are in abhaya and varada mudra. This form of Goddess Lakshmi is portrayed as she is sitting on a lotus wearing a red sari and having eight hands, holding a discus, a conch, a trident, a shield, a noose, a lotus and remaining two hands are in abhaya and varada mudra. Vijaya Lakshmi is worshiped for victory the success in all our ventures. These are eight forms of Laksmi mata , all hindu’s worship maa on Diwali. The biggest festival of Hindus and seek her blessing. The plump, smiling, mischievous, Elephant-headed son of Lord Shiva and Goddess Parvati is Lord Ganesha. Ganesha is considered as the symbol of wisdom and prosperity. Ganesh Chaturthi is celebrated to mark the birth anniversary of Lord Ganesha. Every day, Arti is performed in the morning as well as in the evening and offerings are made to Lord Ganesha. These include modaks that are dumplings stuffed with jaggery and coconut. Flowers and Durva are also offered to the Lord. Along with the Arti, various hymns from Shirsha Upanishad, Rig Veda, and other scriptures are recited. The Public pandals have various decorations like lighting effects, beautiful floral decorations. Some even present various mythological stories or social issues enacted into plays.The whole atmosphere is delightful and spiritual. One of the best things to enjoy is the dhol tashas played during the festival. During visarjan there is a procession of musicians, dancers, singers, priests and onlookers along with the numerous Ganesha idols from peoples’ houses and the pandals. Shouts of ‘Ganapati bappa Morya, Purchya varshi laukariya’ (beloved Ganesha, Lord of Morya, come again early next year) resound all around along with the loudspeakers shrieking from the trucks and the banging of the drums and gongs. They even shower everyone with gulal(red powder). The immersion marks the end of the ten-day festival which is an emotional moment for the devotees. These days eco-friendly and biodegradable idols are encouraged to minimize the pollution caused in the rivers and sea. The ganesh utsav is also the day when Lord Shiva declared that Ganesh would be above all Hindu Gods and would be worshiped before any other deity. This festival was started in 1894 by Lokmanya Tilak to get all the hindus together. The form of the God is worshiped as each part signifies something. The head symbolizes the pure soul. The Elephant head denotes wisdom,the small eyes denote concentration, the huge ears indicate keeping ears open to the inner voice of the conscious, listen more, speak less, the trunk signifies efficiency and adaptability. The large belly teaches us to digest all good and bad in life, the laddoo and modak represent the discovery of the sweetness of the soul. His vehicle the mouse teaches us to overcome desires. The broken tusk teaches us to be positive. The four arms indicate Mind (Manas), Intellect (Buddhi), ego (Ahamkara) and conditioned conscience (Chitta). The Vignaharta is worshipped to remove all the obstacles that come our way and help us grow intellectually. 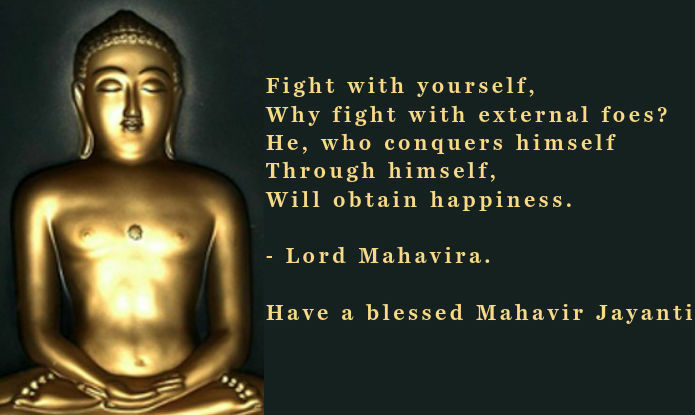 Mahaveer janma kalyanak also known as mahaveer jayanti, is one of the important religious festival for jains. According to jain texts, mahaveer was born on the 13 th day of the bright half of the moon in the month of Chaitra in the year 599BCE. Mahaveer was born into ikshvaku dynasty as the son of king SIDDHARTHA OF KUNDAGRAMA and queen TRISHALA. During her pregnancy TRISHALA was believed to have had a number of auspicious dreams.Mahaveer was named ‘vardhamana’ which means ‘one who grows’ because of the increased prosperity in the kingdom at the time of his birth. The idol of mahaveer is carried out on a chariot,in a procession called rath yatra. Statues of mahaveer are given a ceremonial anointment called the abhishekha. During this auspicious day devotees visit temples and offer prayers as well as charitable acts are performed for peace.Special parades are carried out by the devotee,showcasing a montage on the life of MAHAVEER.Donations are collected to promote charitable missions.The gift can be of any form i.e. GYAN DAAN,ABHAY DAAN AUSHAD DAAN OR AHAAR DAAN. 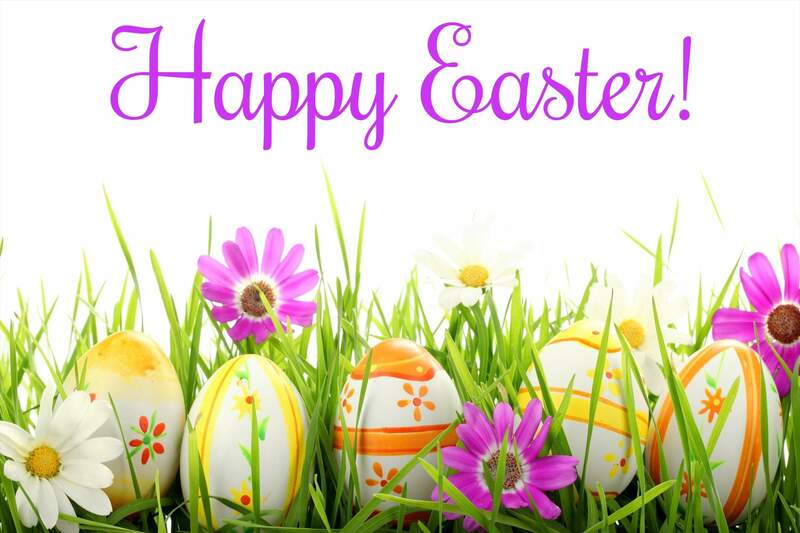 Easter is one of the important celebrations of the Christians around the world. It starts with a ‘Lent’ (fasting) season for 50 days. The last week of the lent is known as Passion Week. It starts with Palm Sunday and follows Maundy Thursday or Holy Thursday, observing Last Supper. This follows Good Friday, the day Jesus was crucified. It commemorates Jesus’ Crucification and burial. Saturday is the last day of lent. 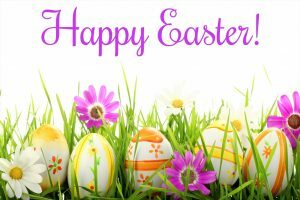 Easter Sunday is celebrated as the day Jesus rose from the dead. It symbolizes rebirth and is viewed as victory over death. Many local churches have Holy Week services. My local parish (Syracuse St. Thomas Indian Orthodox Church, 3209 Howlette Hill Rd., Camillus, NY 13031) has services on Palm Sunday, Holy Thursday, Good Friday, and Easter Sunday and has a prayer schedule for the entire week. Rama Navami is birth day of Lord Rama, the seventh incarnation of Lord Vishnu came in human form in the land of Ayodhya. It is a Spring festival of Hindu’s, and part of the festival Chaitra Navratri, it comes on the ninth day of Chaitra Navratri, in month of Chaitra as per Hindu calendar. It falls in the month of March or April. Ram Navami is a relatively a small festival of Hinduism. It is also observed as the marriage day of Rama and Sita and thus also referred to as Kalyanotsavam. Lord Rama is example of the perfect person (Maryada Purushottam), shown in Ramayana. He was the embodiment of gentleness, Kindness, compassions and integrity. It is said that listening to the Ramayana narrated by a pure devotee of the Lord Rama cleanses all the misgivings from one’s mind and heart. Meditating on Lord Rama and chanting his name is believed to ease the mental agonies. One can also learn from the life of Rama, how to live a life. One should live life without any complaint, as Lord Rama was a Prince and it was announced that he will be the king of Ayodhya, but next day because of his step mother he had to leave everything and go to the jungle for 14 years, to live a miserable, difficult life, but he had no ill feelings for his step mother. Hindu people visit to Rama temple for prayers, puja and aarti. Whereas some pray at home, they celebrate with friends and relatives, people participate in singing Bhajans and Kirtan with music as a part of puja. Some devotees celebrate this event by making infant statue bath with Panchamrit (Milk, Butter, Honey, Curd, Tulsi Patra), they wear infant statue beautiful cloths, then they place in a cradle. Devotees also organize community meals, whereas some remain fasting in honour of Lord Rama. In Ayodhya the birth place of Lord Rama, it is celebrated at a large scale. Huge fair is held with thousands of devotees gathering for celebration of this festival. The fair is held for two days. Rathayatras the procession , also known as Shobha yatras carrying the statue or picture of Lord Rama, Sita, Laxman and Hanuman are taken in chariot at several places. Many people also take a dip in river Sarayu of Ayodhya. Ram Navami is celebrated all over in India by Hindu Community, people visit to places associated with lord Rama. Like- Ayodhya, Ujjain, Tamil Nadu (Rameshwaram), Telangana (Bhadrachalam) and West Bengal, the Jagannath temples and regional Vaishnava community observe Rama Navami, and treat it as the day when preparations begin for their annual jagannath Ratha Yatra in summer. In Andhra Pradesh, Rama Navami is celebrated for 10 days from the Chaitra Saptami to the Bahula Padyami that falls in the month of March or April. Nav means new, roze means day. Navroze is New Year day. It is the first day of the first month (Farvardin), in the Iranian Calendar it falls in the month of March. People from different religious traditions take part in this festival. The last day of the Parsi Calendar year, observed on the evening of Navroze, is a day of penance where one repents for their sins. Therefore, the Parsi New Year is linked to Zoroastrian religion. It is a holiday that originated in Iran, and it represents a yearly renewal of everything in the universe. Now it is celebrated in other parts of world, like- India, Iraq, Russia, Syria, Turkey & Pakistan. It is a holy day for zoroastrian’s. This holiday can be directly linked to the festivals of Tiregan and Yalda. It welcomes to Spring season in the Northern Hemisphere, special thanks giving prayers are offered. Some Parsi’s celebrate the New Year festival in the month of August. To celebrate this day people starts preparation from several weeks before the New Year. They clean their houses, special decorations adorn the interior and exterior of the house. These decorations include garlands of the flowers. People buy gifts for each other, they also buy new cloths and new furniture. Parsi Community people get together to celebrate the day, visitors are sprinkled with rose water as they enter home to welcome them. People also give charities to poor and needy people. They visit to the Fire Temple anchors for holiday together. People head to the temple to pray and give thanks for the New Year. parsis mark the day of ‘Muktad’ the last ten days of the religious calendar. According to the Parsi tradition, during these ten days, the souls who have left the world come to bless them and special prayers are held at the Agyari during these days said Anklesaria. Various members of the community gather at the Parsi Sanatorium. 1) Sumac-Spice of life – this represents the fertility. 7) Serkeh –Vinegar represents patience. This festival is celebrated with great feasts, people make special dishes like Sabzi (rice dish), soup is made from noodles, whey, lentils, onions and spring onions called Ash reshteh. Desserts are also made called naan Berengi (rice cookies), a pastry called Baqlava and sugar coated almond called Noghi. It is an important event, people get together to spend time with their families, and the ones they love. This festival is an important to many other communities also like, Muslims and Zoroastrians. This festival is incomplete without a feast and the sweets made, using semolina as well as veermicelli along with fish preparations usually this celebration is within families. Navratri festival is celebrated all over India by Hindu’s. Most of the people know two type of Navratri festival held in a year. One Maha Navratri, which comes in the month of September or October and another is Chaitra Navratri, which comes in the month of March or April. Other than these two there are two more Navratris, Gupt Navratri and Megh Navratri. As per Hindu calendar Chaitra Navratri is nine days festival falls in month of Chaitra, the full moon day. This Chairta Navratri is also known as Vasant Navratri. Lord Rama’s birthday falls on the ninth day of Navratri, so it is also called as Rama Navratri. During both the Navaratri festivals people worship Goddess Durga and her nine forms, devotees offer prayers to one of the nine forms on each day during Navratris. Rituals are performed with great Zeal in temples while devotees adorn their houses. Devotee performs havans, puja and aarti to maintain a peaceful atmosphere. The festival is dedicated to Shakti which is significantly referred to as Goddess Durga. This festival is mostly celebrated in the northern part of India and Maharashtra Navratri is celebrated as Gudi Padwa, which is also celebrated on the same day. Different regions follow a variety of rituals through the course of the nine days. This year Chaitra Navratri is starting on 18th March till 25th March 2018. This year the festival will be celebrated for 8 days instead of 9 days as Ashtami and Navami are falling on the same day, as per Hindu Calendar. In respect of Goddess Durga people fast for nine days, they live on milk, juices or fruits for entire day. Devotees refrain from having meat, chicken, fish, eggs, liquor, onion, garlic etc. they remain only on rock salt even spices are not consumed. People have tea, coffee along with potato chips or potato cooked with rock salt. Some of them also consume dry fruits. One must watch out their behaviour, to keep them- self cool and calm. The last day of festival is all about fasting, praying, performing havans inviting relatives and eating different foods, enjoying etc. It is said that Lord Shiva permitted Goddess Durga to meet her mother just for nine days. And at that time Goddess Durga demolished demon Mahishasura. Goddess Durga has eternal divine power, which can never be created nor destroyed. Ugadi or Yugadi word is derived from sanskrit words Yuga means age and adi means starting the beginning of New Year. Ugadi is New Year of Telugu and Kannada communities in India. This festival falls in the month of Chaitra, as per Hindu calendar it comes in the month of March or in the month of April. This date moon signifies a change in the seasons and essentially means ugadi is a spring festival. Andhra Pradesh, Tamil Nadu, Telangana observe a public holiday on this day. In the other part of India, in the state of Maharashtra it is celebrated a Gudi Padwa as New Year. It is believed that Lord Brahma created the universe on this day of full moon, and it is celebrated as New Year. Other belief is nine days festival Chaitra Navratri begins on this day and ends with the birth of Lord Rama (Ram Navami). The creator of the Hindu Pantheon Lord Brahma started creation on this day the Ugadi day is also called Chaitra Suddha Padhyami. According to Hindu religion, a cycle of 60 years is known as samvatsara and this day marks the beginning of a new samvatsara. A week in advance people clean their house, and colourful patterrns rangoli is drawn on the floor is called Kolamulus (kannada: Rangoli), fresh mango leaves go up around front doors for good luck and it is called toranalu (Konnada: toranagalu). People buy new cloths and gifts for each other. On the day of festival, people wake up early morning they take special oil bath. A special food called bevu Bella is prepared. People also visit Hindu temples. This festival is celebrated to welcome spring season, it is joyful festival, signifying growth and prosperity. This tells us to put all the shadows of the past behind, let’s look forward to a new start, Realize new dreams, new hopes, new achievements, new courage. On this day of Ugadi people prepare the Ugadi Pachadi or Bevu bella is a pest (chutney), prepared from Jaggery or sugar, Neem leaves, tamarind juice and raw mango. The paste combines sweet and sour tastes. This reminds the life is mixture of happy and sad events. In Andhra Pradesh and Telangana, the special dish is prepared for the occasion is called Bobbattu (Polelu, Puran poli) are prepared on this occasion. This special dish is called Bhakshalu. Boorelu in which is eaten with fresh ghee in Andhra pradesh and Telangana state. In Karnataka too, similar preparations are made but called abbattu or holige, consists of a filling gram and jaggery/sugar boiled and made into a paste stuffed in a roti. Happy Ugadi 2018 is on 18th of March. We wish you successful, prosperous, Cheerful New Year. Cheti Chand is celebrated as a New Year of Sindhi community. According to Hindu calendar, it is celebrated on the first day of Sindhi month called Chet (Chaitra), the full moon day. It falls either in the month of March or in the month of April. It is said when Sindh province (It is in Pakistan) came under the rule of tyrant named Mirkhshah, was threatening Sindhi Hindu’s to either convert to Islam or else they all will be killed. Sindhi’s Prayed to the River named Sindhu (now the river indus in Pakistan) for protection from the force of sultan, and they prayed for forty days. And Lord Varuna devta (God of Water) heard their prayed and promised them for their protection, and God came in the form of Sai Jhulelal in Nasirpur. When Mirkhshah came to know the birth of Sai Jhulelal, he ordered his minister Ahirio to kill the child with a poisoned rose petal. When minister saw the infant, smiled and the petal blew out of his hand. When he caught sight of Sai Jhulelal again, he was surprised to see that, the infant had grown into an elderly man. And, the elderly man again turned into a young man, a warrior on horseback. Ahirio returned to palace recount the story to Mirkhshah. Sultan asked his minister to call Sai Jhulelal on the banks of the river. On invitation Sai Jhulelal appeared out of the river on horse, accompanying with his army. Terrified, Ahirio begged Sai Jhulelal to restrain his army, and army disappeared back into the river. He returned to palace and recount the story to Sultan. Mirkhshah called Sai jhulelal to his court with intent to forcefully convert him. Jhulelal is then said to have vanished, leaving mirkhshah enraged. Then cruel king got mad and ordered to convert immediately all Sindhi Hindu’s to Islam. Then all people rushed to Nasirpur where Sai Jhulelal was born. The infant consoled the distraught Hindu’s and commanded them to assemble at the temple near the river. On assembling a firestorm broke out and engulfed the king’s palace. The king escaped to the banks of the river, where he found Sai Jhulelal on horseback again a warrior, and he protected the Sindhi devotees from the firestorm. The king fell at Sai Jhulelal’s feet, and Sai Jhulelal dismissed the storm with the movement of his hand. The day Lord Jhulelal was born is celebrated as New Year. 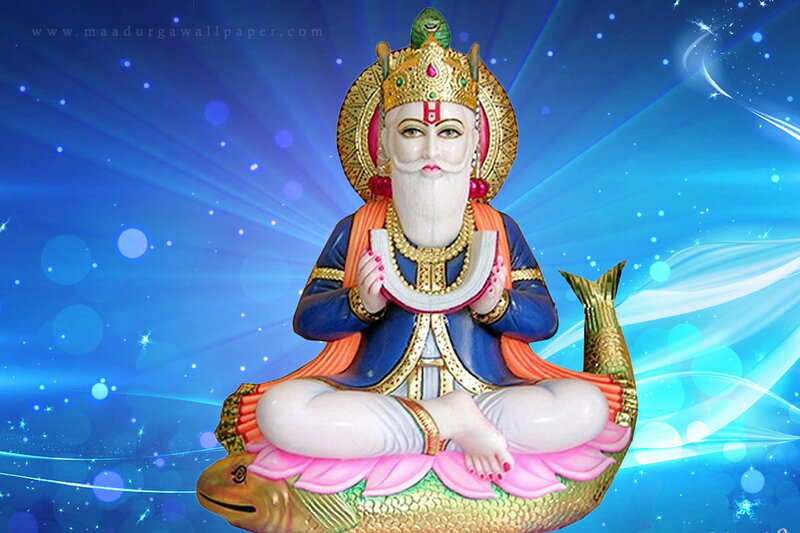 God Jhulelal is worshiped by Sindhi Hindu’s and also worshiped by Sufi Muslim Saints. Sufi Muslims call Lord Jhulelal as Khwaja Khizir or Sheikh Tahit. Sindhi’s greet each other with the word “Jhulelal Bera-Hee-Paar”. 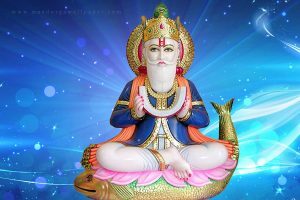 Lord Jhulelal is also called Uderolal and he is potrated as a bearded figure, holding a book and a mala, sitting on a fish (string of beads). On this day many Sindhi’s get together and celebrate the festival with procession, they take Baharana Sahib to nearby river or lake. Baharana Sahib consist of a statue or picture of Sai Jhulela and Jyot (Diya or oil lamp is made of wheat flour) ,Crystal Sugar(mishri), Cardamom, clove, supari (Areca Nut), fruits and a hand full of rice and sugar (Akho). A coconut covered with red cloth and some mango leaves are also kept on the metal pot (kalash). A vessel of unseen cocked sweet rice (Ghuji Degh). In procession people go singing until they reach to the river, to perform some rituals and puja. They pray holy water of river, as Jhulelal for their prosperity and happy, peaceful life. After completing the puja, Baharana Sahib is put (immersion) in the holy water of river. After puja, prasad of sweet rice (tahiri), boiled Chana (chickpeas) along and Thandai Sharbat is distributed in all devotees. Special food is made on this day of festival is sweet rice (Tahiri) and Green leafy vegetable (sahi Bhaji). Fair (melas) is held near the temples of Jhulelal and rivers. Gudi padwa is celebrated on the first day of Chaitra month as per Hindu calendar, it falls in the month of March or April. Padwa word comes from the Sanskrit word, which stands for the first day of the bright phase of the moon. Gudi padwa marks the beginning of the new year to the Maharashtrians and it is celebrated with a lot of joy and happiness in Maharashtra. New year brings new dreams and hopes of prosperity. It is also celebrated in the other parts of the India, with different names like Konkanis celebrate Samvatsar Padva. In Karnataka it is Ugadi. Sindhi community celebrates this day as Cheti Chand. It is also celebrated in the North East state of Manipur as Sajibu Nongma Panba Cheiraoba. It is believed that it was the day when, God Brahma Created universe. Gudi flag is symbol of victory it is associated with the victory of Rama over evil Ravana. It is believed that this festival is celebrated to commemorate the coronation of Rama post his return to Ayodhya. It symbolizes the victory of king Shalivahana over sakas and was hoisted by his people when he returned to paithan. Gudi padwa signifies to welcome the season spring. On this day, the position of the sun is above the point of intersection of the equator, which according to the Hindu calendar marks the commencement of Spring season. It is also believed that on this day Lord Rama killed Kishkinda king Bali. A bright colorful cloth with zari or brocade bordered is tied at the top of the long bamboo stick, some neem tree leaves and mango leaves, sugar crystals and a garland of red flower are attached along with it. This arrangement is capped with a metal pot, it is hoisted outside each household on window, facing right side of the entry, and it is seen by everybody. This is symbol of achievement. This gudi is worshipped by devotees and then the prasad is distributed amongst all the members. In Maharashtra on this occasion of Gudi Padwa prasad is made of Neem leaves, tamarind, ajwain, gram-pulse and jaggery. There is a belief, that this prasad strengthens your immunity system and one can fight against diseases better. It also reminds us that life is sweet and some -time better also. 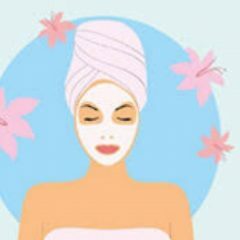 On this day of new year, after waking up early in the morning, people clean their houses, and take oil bath first. Then they decorate the floor with beautiful rangoli, in the front of the main door. Some people even prefer to keep, in front of the main gate, a pot with coconut, flowers and mango leaves on top of it All members of family dress up with new cloths and get together to perform several rituals and customs that are associated with the celebration of this festival. To celebrate this traditional day people make special dish of bitter leaves of neem tree and sweet jaggery. They also mix sour tamarind and astringent dhane seeds. This is like the pacchadi recipe used in ugadi festival. Sindhi community people make sweet rice (Tehri) and Green leafy vegetable Palak (Saai Bhaaji). In Maharashtra, people make sweet puran poli, Aamti and shrikhand on this day. It is said that the Chhatrapati Shivaji Maharaj the Great Warrior, of Maharashtra, was the person who started the Gudi Padwa celebrations after his victory. The raising of the Gudi was initiated by Shivaji Maharaj and from that day onwards this has been followed by all Marathi people to welcome the new year. This year of 2018 it falls on 18th of March, 2018. Wish you all happy Gudi padwa in advance.